Texts : People and the Sky (London, Thames and Hudson, 2008) Empires of Time (London, I.B. Tauris, 1997). 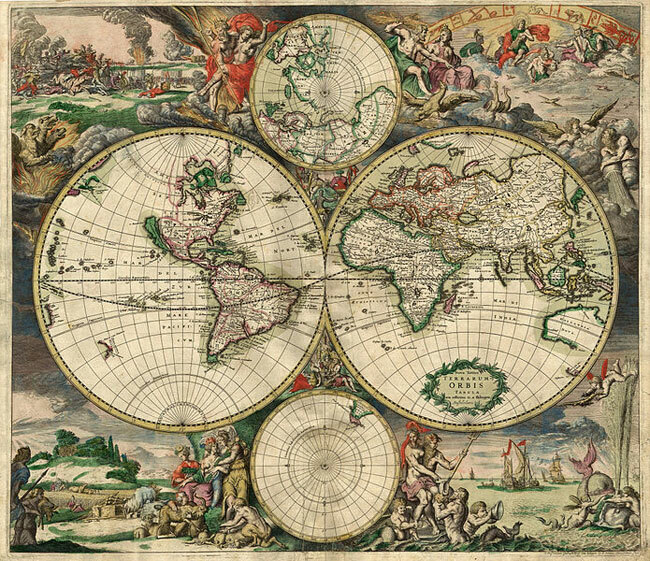 These last five centuries have, it is now recognised, allowed some very biased ideas to flourish, reminiscent of today’s ‘spin’, or worse, ‘fake news’, as Matthew Restall, author of the classic ‘Seven Myths of the Spanish Conquest’, reminds us: ‘The Aztecs and the Spanish Conquest have been misrepresented and misunderstood for five centuries. 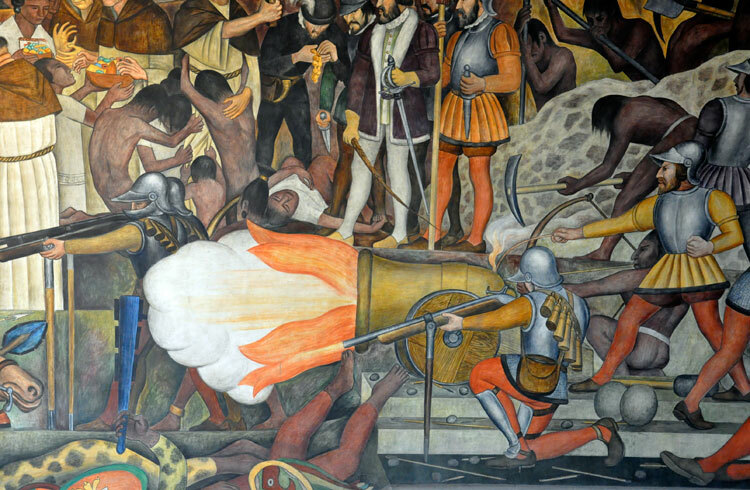 This is because the conquistadors claimed that the Aztecs were bloodthirsty cannibals whose culture was based on human sacrifice, justifying them being saved by Christian civilization; that Moctezuma surrendered to Cortés, legalizing the Spanish invasion; and that the Conquest of Mexico was the extraordinary against-all-odds achievement of a great hero. These claims are wrong. The Aztecs simply killed people in warfare, as did Spaniards and other Europeans (the term “human sacrifice,” like the term “tribe,” should not be used as a simple descriptor assigned only to non-Western cultures). The Aztecs were not barbarian or less civilized than Spaniards or Europeans; they just had different cultural practices. Moctezuma did not surrender to Cortés; he welcomed the Spanish invaders as guests, for reasons still being explored by historians (but probably related to profound intellectual curiosity as well as a strategy of containment). One of the problems has been that the accounts of the ‘Conquest’ on which historians have relied in the past are Spanish accounts - sometimes written decades after the event, even in some instances by protagonists who never set foot in Mexico! Adrian Locke stresses the need for a balanced view... ‘Throughout history people have marvelled at the exploits of a small group of Spanish soldiers led by Hernán Cortés who vanquished a great and mighty civilisation, namely the Aztec (or as they called themselves, the Mexica). 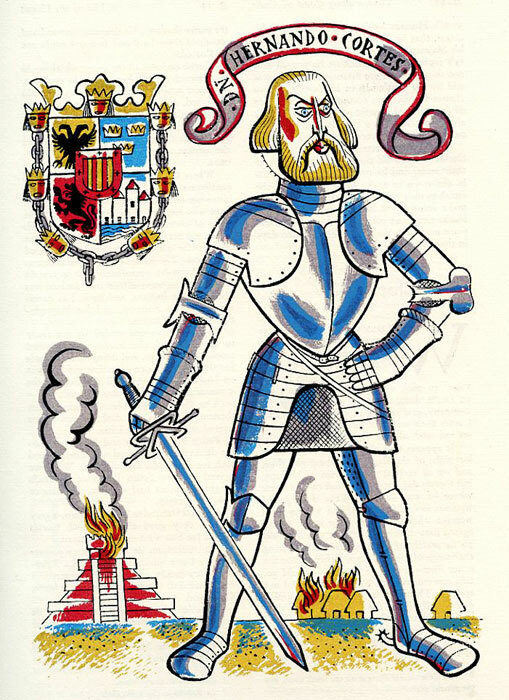 Much has been written about their heroic bravery and superior technology (steel swords, gunpowder and armour for example) which was celebrated in many accounts, most importantly that recorded by one of those soldiers Bernal Díaz in ‘The Conquest of New Spain’. This, however, is an example of history written by the victor. The reality was very different and thanks to better understanding of native accounts, that is books written by the Aztec and other indigenous Mexicans such as the Tlaxcalans, a much fuller picture has emerged over the past fifty or more years. 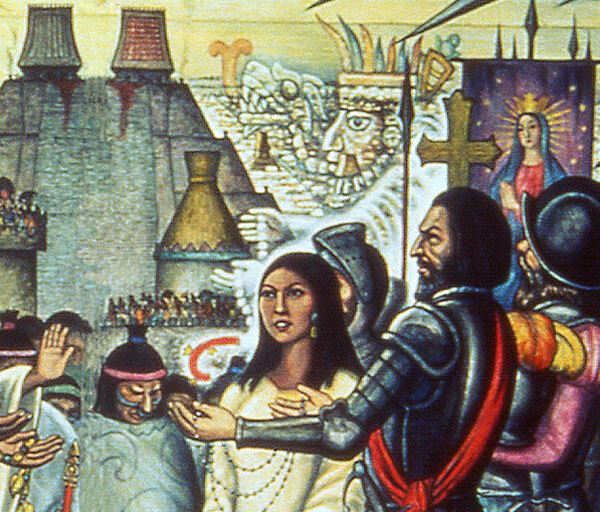 Some people, as a result, refer to the event as an invasion rather than a conquest as people in Mexico continued to resist European rule for centuries afterwards. These accounts also demonstrate that the Europeans (who could best be described as mercenaries driven by personal enrichment rather than as a regular army) took advantage of those they came across, pitching different people against each other to exploit existing rivalries. In so doing they raised an army of many thousands of locals that fought alongside the Europeans against the Mexica. 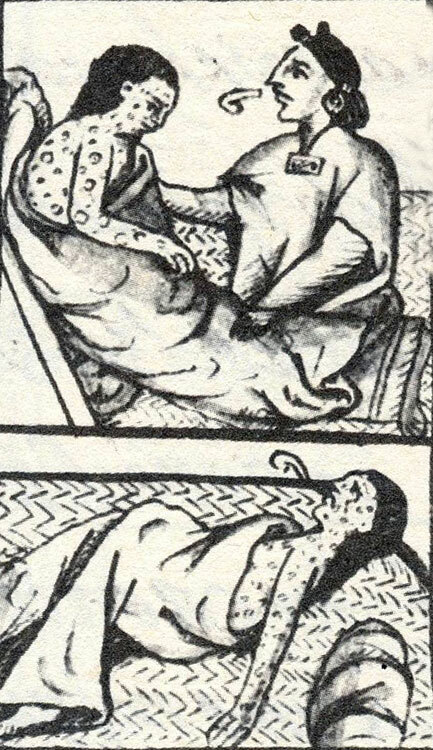 ‘They also brought European diseases for which there was no resistance; smallpox, for instance, killed millions of people across the Americas. 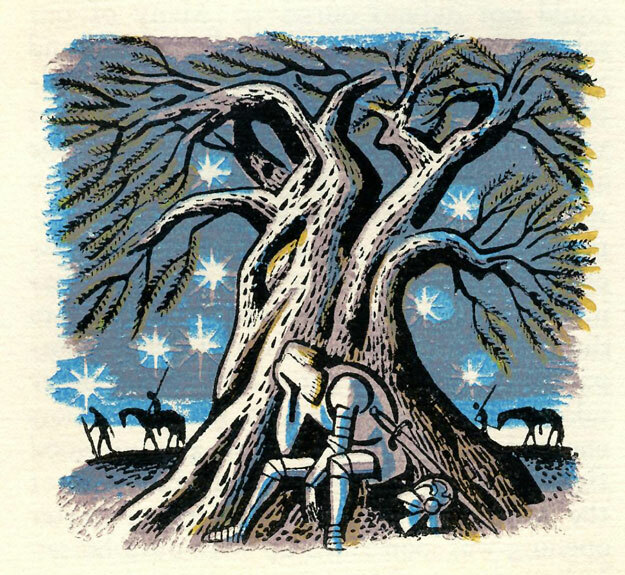 The dramatic population crash impacted all levels of society from farmers to soldiers and across generations. 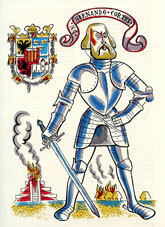 These mercenaries also paid little attention to the established conventions of warfare in Mexico, such as by killing in battle on an unprecedented scale. 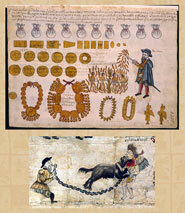 The Spanish tactic of allying themselves with enemies of the Aztecs was central to their final victory. Alan Sandstrom elucidates: ‘One of the most puzzling aspects of the Spanish conquest of the Aztec empire is how is it that a few hundred men under Hernán Cortés could have managed to overcome hundreds of thousands of seasoned warriors in battle after battle. The military subjugation of the Aztecs (as well as the Incas far to the south) fed into European ideas of their own superiority and was used to justify further conquests of peoples in different parts of the world. 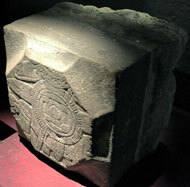 Part of the explanation for this remarkable event lies in the nature of the Aztec empire itself. 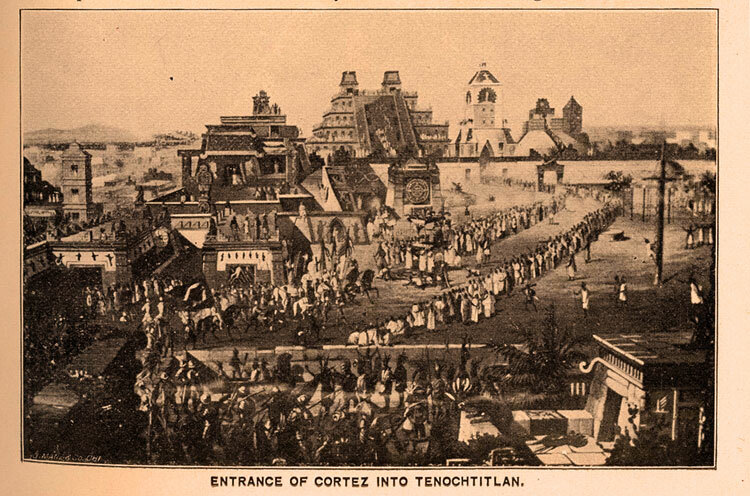 Aztec rulers did not welcome the peoples they conquered as citizens of the empire but rather exploited them ruthlessly, making them supply their capital city—Tenochtitlan—with valued goods. The empire was in an almost constant state of rebellion. 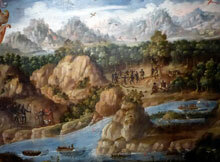 In short, many people feared and hated the Aztecs and welcomed the Spaniards as potential saviors. So Cortés and his men did not single-handedly defeat the Aztecs but rather led a rebellion involving hundreds of thousands of warrior allies from peoples the Aztecs had subjugated. We also know that a major purpose of Aztec warfare was to capture enemy soldiers and this purpose played into the hands of the invading Spaniards whose strategy was to kill as many of the enemy as possible. Could the Spaniards be accused of double standards? 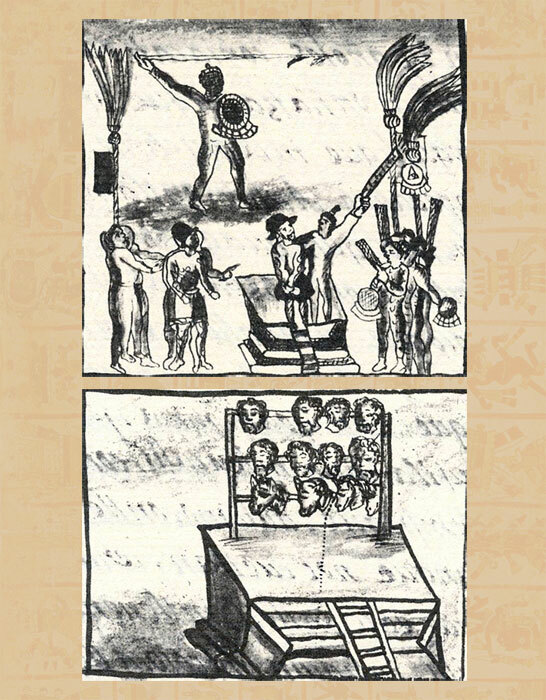 They claimed the Aztecs undertook mass human sacrifice in order to justify their conquest of Mexico - yet just look at the brutality of the Spanish Inquisition, in the same era... Pamela Sandstrom presents the case: ‘When people think of the Aztecs of Mexico, the image they frequently bring to mind is the horror of human sacrifice. We have 16th-century records from the Spaniards and the converted Aztecs detailing many different types of human sacrifice. 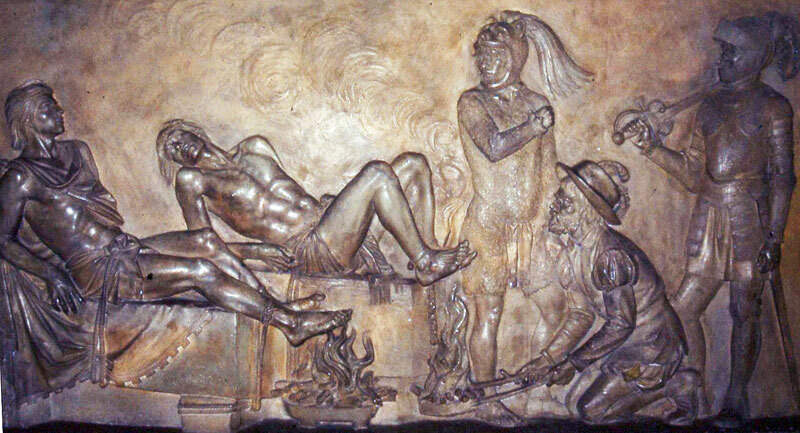 The most common way was to lay out a victim on his or her back atop a ceremonial stone, and as five priests held the person’s arms, legs, and head, the lead priest plunged a stone knife into the chest and removed the still-beating heart. 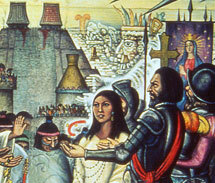 The Spaniards were horrified at the spectacle and used human sacrifice as a major justification for their invasion and subsequent conquest of the Aztecs and other Mesoamerican and New World peoples. 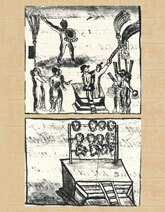 Captured Spanish soldiers themselves were sacrificed by Aztec priests. Scholars have attempted to understand this gruesome practice by pointing out that human sacrifice formed part of Aztec religion and that its purpose was to maintain the workings of the cosmos and promote fertility among humans and in the fields. Other explanations include Aztec use of human sacrifice as state theater to intimidate neighboring peoples and as a source—because many victims may have been consumed following the extraction of their hearts—of scarce protein in the diet. 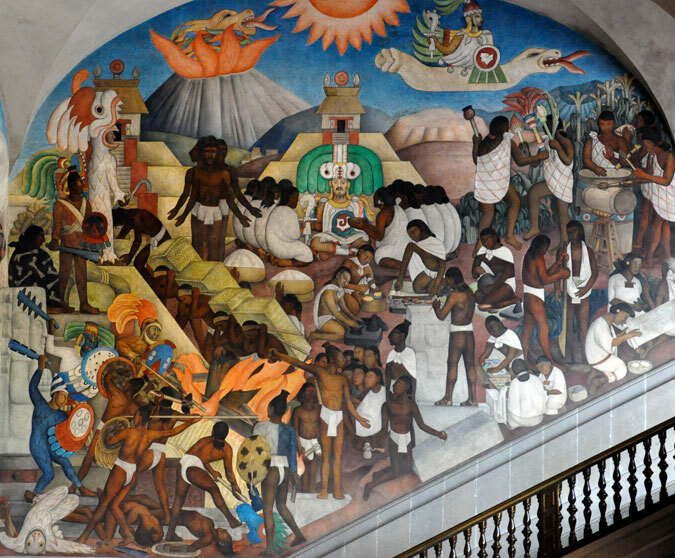 Scholars also point out that humans were sacrificed among almost all ethnic groups in Mesoamerica as well as in other cultures throughout the world. Related reading: González Torres, Yólotl. 2001. 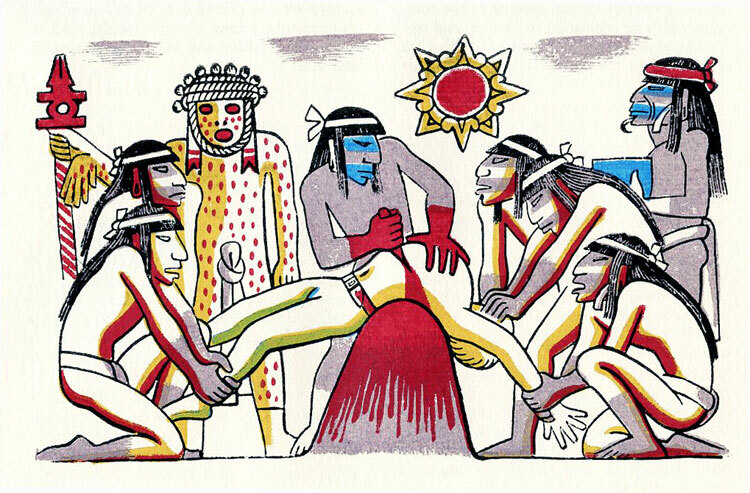 “Sacrifice and Ritual Violence.” In The Oxford Encyclopedia of Mesoamerican Cultures: The Civilizations of Mexico and Central America, Volume 3. Davíd Carrasco, editor in chief. Pp. 102-104. Oxford: OxfordUniversity Press. We end this section as we began, with the comments of another eminent Mexican historian Manuel Aguilar-Moreno who summarizes for us the worldviews of two contrasting ‘camps’ five centuries after the invasion, each with its own interpretation of events... ‘In 1992 events were held throughout the American continent commemorating 500 years since the ‘Discovery of America’ by Columbus. 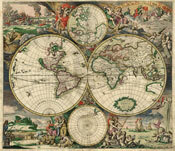 Known as the ‘meeting of two worlds’, these celebrations provoked major controversies and political debates. 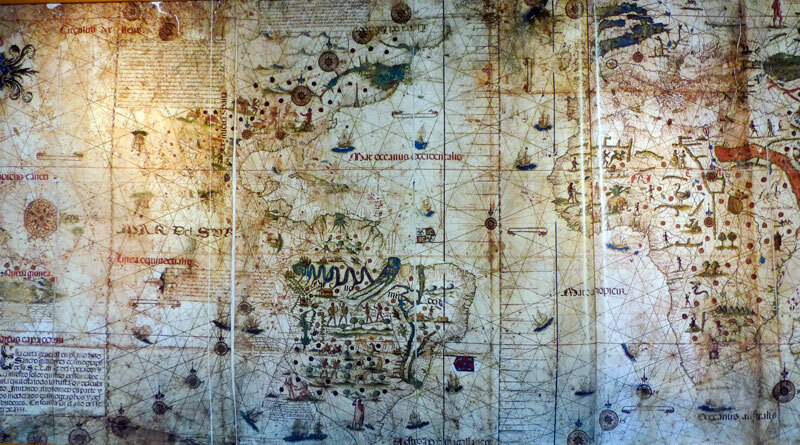 The Hispanista position sought to justify the Conquest of America by referring to the inherent merits of Spanish culture. The indigenist movement denounced the destruction of major civilisations, the genocide and the dramatic cultural loss suffered by the people of the New World. 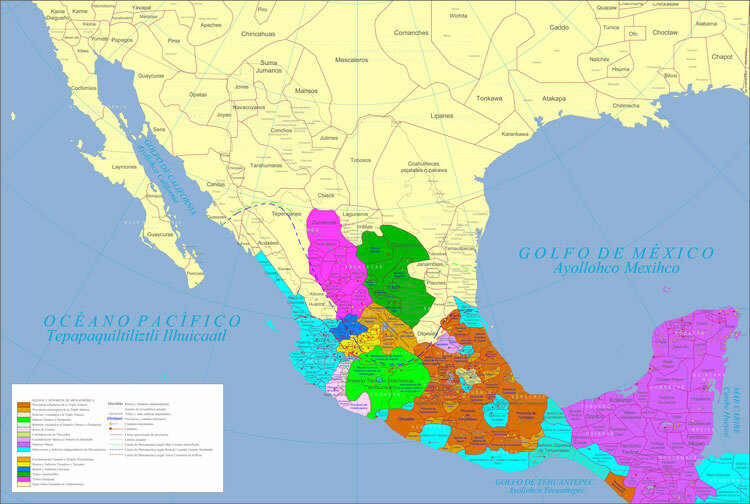 As mestizo Mexicans we could argue that if we disown any part - Spanish or Indian - of our blood and reality, we would be denying our full identity as Mexicans, a new race sharing values formed by the complex fusion of European and American cultures. At the same time as we forge our identity, we have to understand the contradictions and disquiet that this implies for our indigenous peoples, who remain tied to their ancestral traditions and who don’t feel part of Mestizo Mexico. This helps explain the recent social and political upheaval in Chiapas (the Zapatista movement), where one of the key issues for debate has been the autonomy of indigenous communities. ‘The conquest led in large measure to the destruction of diverse native cultures and to the imposition of a new culture on the populace. It reflects that strange, dark warrior instinct in human beings so enduring throughout history. In spite of this, Hernán Cortés was not just a bold soldier - he was also the founder of new towns and writer of new laws, with a vision to create a prosperous and stable ‘New Spain’ in the midst of an indigenous world. For good or bad, he truly is one of the founding fathers of Mexico. 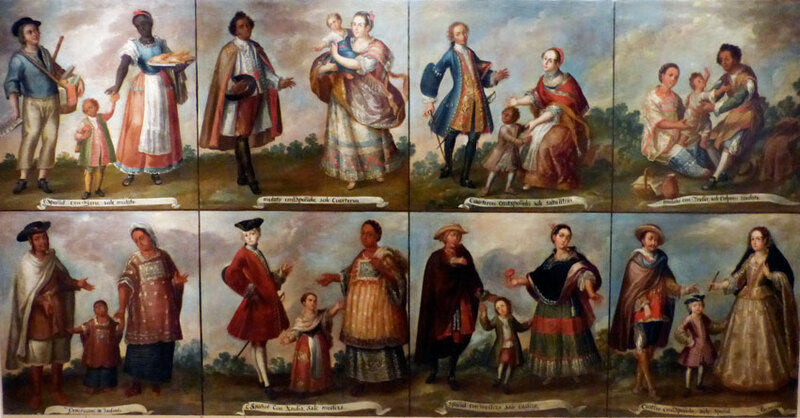 These contradictions and ironies, alongside my own reflections on who we are as mestizo Mexicans, have led me to a fuller understanding of the core relationship between indigenous and Spanish cultures in the Americas. I am stunned by the sight, on the one hand, of Christian churches and monasteries erected atop pre-Columbian foundations, and on the other of pre-Hispanic aesthetics and cosmovision piercing through these buildings. In today’s Mexico we speak a Nahuatl-ized version of Spanish, we believe in a syncretic Catholic religion still influenced by the magic of the past, we have native religious brotherhoods and feast days, we celebrate the cult of Death, and most of our customs and traditions are mestizo. So we have to ask: who conquered who? 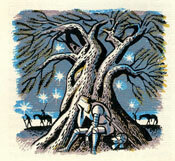 • Pic 14: image courtesy of Tomás Filsinger.